Israeli Prime Minister Benjamin Netanyahu brought a visual aid with him today to the United Nations General Assembly. During his speech the Israeli Prime Minister explained to the audience that the Iranian regime had already completed the first stage of their nuclear program. The regime is working on the second stage. 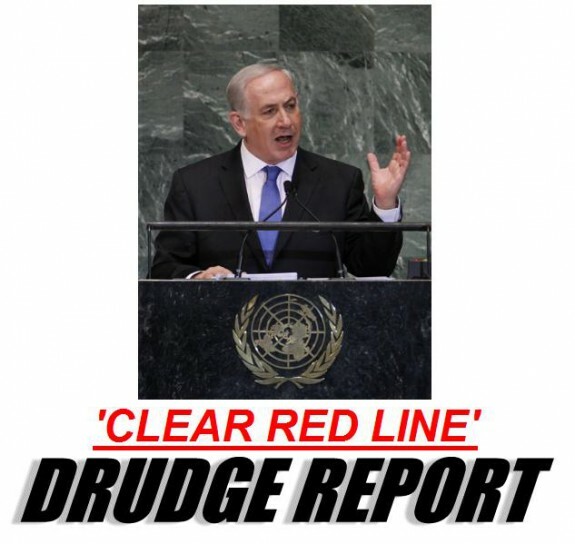 Netanyahu urged the members to draw a red line before the Iranians complete the second stage of their program. This was a very effective presentation.